Continuing its transition from “something mom’s probably watching” to “Netflix binge on a hungover Sunday” to “genuine TV phenomenon,” ABC’s Scandal scored the biggest ratings of the show’s run last night. Preliminary Nielsen numbers estimate the political-fixer drama’s third-season premiere drew an audience of 10.5 million viewers, with a 3.6 rating in the advertiser-preferred 18 to 49 demographic. It’s a spot of good news amid the ratings blight that has struck ABC’s new drama offerings this fall, what with Lucky 7 and Betrayal both making underwhelming debuts and Agents Of S.H.I.E.L.D. fulfilling its Whedon hero’s legacy by generating Nielsen figures that don’t quite match the volume of viewer enthusiasm for the show. 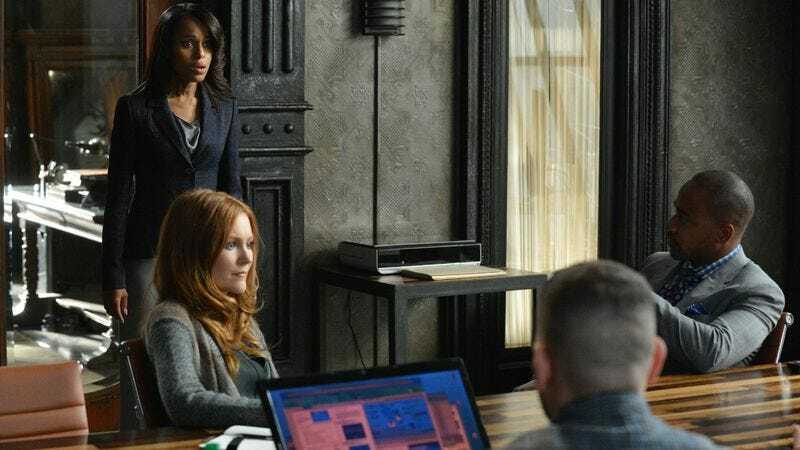 So how’s Scandal managed to beat the odds? For one thing, it’s a massive hit on social media, as the number of instances of the word “gladiator” in your Twitter feed last night will attest. For another thing, it’s reaped the benefits of ABC’s deal with Netflix—which will never say how many people have watched the show via its streaming service (thus marking one Scandal-related secret that will be successfully kept under wraps), though you can wager a guess based on the reported 71 percent growth in its audience since the premiere of season 2. An additional, less likely factor: Unlike the struggling Betrayal, Scandal is not filmed in the Chicago neighborhood that also houses The A.V. Club, forever cast under the withering glare of Onion, Inc. employees sidestepping around the show’s catering trucks. Should’ve been like Sean Saves The World, Betrayal—just use the old Onion offices as an establishing shot and see your ratings fare a smidge better.